After decades of not bothering to switch off the lights in unoccupied rooms in their Tokyo home, Masayoshi Sakurai and his children now meticulously make sure they do. “My wife used to badger us to switch off the lights because she was worried about high electricity bills. Now all of us have begun saving energy, by reducing the use of air-conditioners, turning off the computer and so on,” explained the corporate employee. Sakurai is part of a growing movement in Japan, led by a media campaign called setsuden (power saving in Japanese), that has begun to spread support for limiting electricity consumption. “Public support is strong for setsuden mostly because they fear power blackouts of the type caused by the disastrous Fukushima nuclear accident,” says Kazuko Sato, of Soft Energy Project, a non-government organisation that lobbies for renewable energy expansion. Sato told IPS that the energy saving mood sweeping the country is a new trend in Japan that gives an opportunity to push for clean energy over national policy that favours nuclear power. She explained that the challenge facing green activists is to link the setsuden mood to banning nuclear energy. 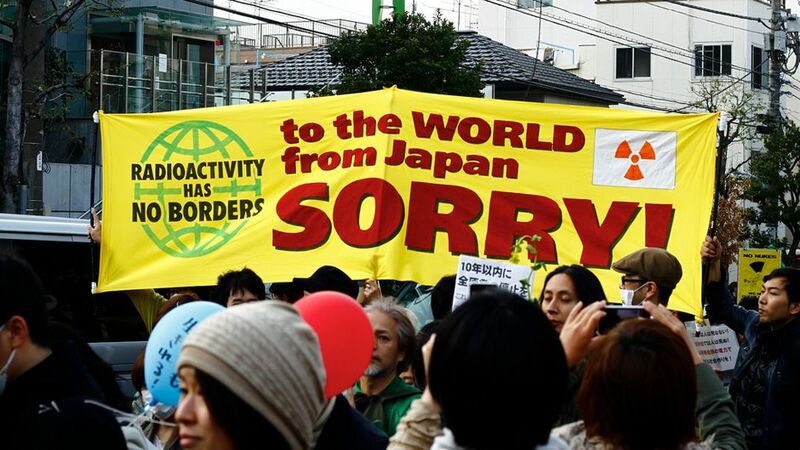 “To push renewable and safe energy to the national forefront and reduce Japan’s reliance on nuclear energy, it is important to sustain the current public setsuden mood. I am worried that the public support could be temporary,” she said. Renewable energy sources such as solar and wind provide for less than two percent of Japan’s total power consumption. Tokyo, a bustling capital famous for its neon lights, has now turned into a city of darkened buildings and slower running trains. Billboards at major crossings flash daily rates of power consumption that tell whether the city has conserved sufficient energy to avoid a blackout. Hisayo Takada, energy expert at Greenpeace Japan, a leading environment organisation, says such developments are important but do not necessarily translate into public anger against nuclear power. “The public setsuden sentiment is merely symbolic. Everybody is joining the bandwagon as an expression of solidarity at a time of distress. What is more important is to create a deeper front against dangerous nuclear power,” she told IPS. A massive earthquake and tsunami on 11 March 2011 destroyed Japan’s largest nuclear power plant at Fukushima, forcing the government to review the national policy on nuclear energy that currently meets 30 percent of the national demand. Japan has 54 nuclear reactors of which only 15 are in operation currently, with some of them set to undergo stress tests as a precaution after the Fukushima disaster. As a result, the total electricity supplied by the ten major utilities in July dropped by almost nine percent, or 83 billion kilowatt hours, in comparison to supply in 2010, according to the Federation of Electric Power Companies. Well-known Japanese author Kazutoshi Hanto, in an interview on Japanese television, likened the current power-saving efforts to 1945 post-war Japan when people worked hard to rebuild their country. “National unity in the form of setsuden mirrors the early post-war diligence of the Japanese who worked single-mindedly to rebuild the country. 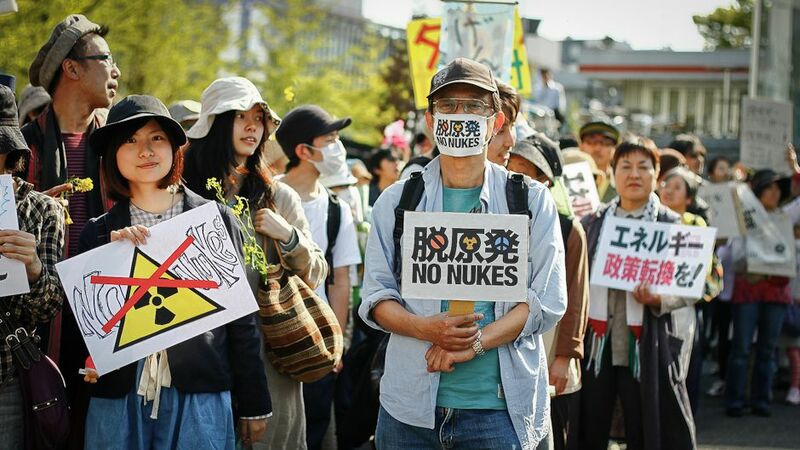 “There are new ideas and efforts rising from the worst nuclear disaster in Japan,” Hanto said. Prime Minister Naoto Kan is pushing a national goal to generate 20 percent of electricity from alternative energy sources such as solar and wind. Japan will legislate to mandate utilities to buy electricity generated from these sources at prices set by the government. Such steps are long overdue, environmentalists say. There is also increasing interest among equipment manufacturers to develop energy saving products. Major companies such as Toshiba Corp and Mitsubishi Electric Corp announced collaboration last month to promote next generation energy-saving housing that will use solar panels and home appliances linked to a computer network to save power. The fear that the Fukushima accident is threatening massive radiation contamination has led to rising opposition in Japan to nuclear power. Its operator, Tokyo Electric Power Company, is struggling with huge compensation payments. “The difficult times we face today present an opportunity which we must not miss. Post-disaster Japan has to change and we can only do this through a long-term approach to develop a safer Japan,” Sato said. This article appears with permission of Inter Press Service, an independent news agency covering issues such as development, environment, human rights and civil society. Inter Press Service. All rights reserved. Suvendrini Kakuchi is a Sri Lankan journalist reporting for Inter Press Service, and is also a regular commentator on Asian issues for Japanese publications and television. Ms. Kakuchi is a Nieman Fellow and the recipient of a fellowship for South Asian reporters from the Foreign Press Center Foundation, Japan. This is an excellent journalistic article. Enjoyable to read. Greenpeace’s Hisayo Takada’s quote is right on, we have a tendency to join the bandwagon for the sake of joining the bandwagon, and even the call to ‘setsuden’ is often misplaced, as the recent scene at Shinagawa station proves – at least 40 flatscreen tv’s urging passengers to save energy. Japan needs strong community leaders to focus and direct this new public awareness towards systemic changes in society.